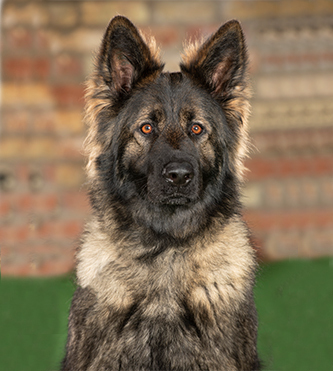 Pria is a young female sable German Shepherd Dog. 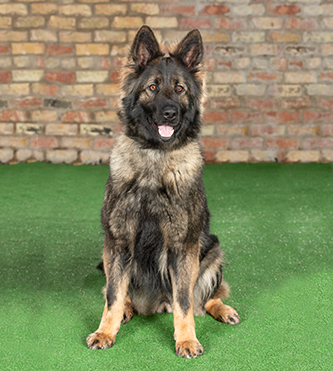 She is a well-balanced dog, and is temperamentally perfect for family protection work. Although we have only been working with her for a short amount of time, she has progressed very well. 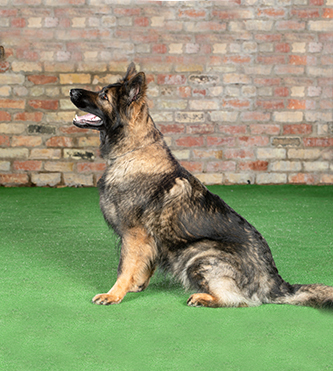 She has a calm approach to obedience work, and is keen to please her handler. 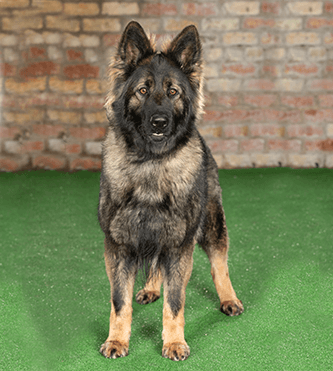 When undertaking protection work, though, she is more than capable of holding her own, and instinctively protects her handlers. She is equally capable of deterring, and if necessary protecting against threats, but is able to immediately return to a calm state. This makes her one of our easier dogs to handle.